KEM STUDIO is a design firm fusing architecture and industrial design. Our firm was founded in 2004 by Brad Satterwhite, Jon Taylor and Jonathon Kemnitzer—two architects and an industrial designer—and is guided by the fundamental principle that we can make life better through design. We design for the human experience and believe that the simple act of having fun and paying attention allows us to design more meaningful projects. How did you get started in architecture? Were you always interested in making? I WAS ALWAYS INTERESTED IN DRAWING and art, and connected with geometry. In the second grade we moved to a new state and my parents were interested in a house that was under construction, but it needed another bedroom to work for our family. My dad, a salesman that is very artistic, drew up a revision to convert the garage into a master suite and designed a new garage on the other side of the house. I was amazed that he could conceive and draw that, and then get it built. From that point on I knew I wanted to be an architect. ABSOLUTELY. We approach both disciplines as designers first, looking for the best solution to the design problem. We also us a research framework to establish a Big Idea for each project. The Big Idea is about establishing a mentality for innovative design that drives every aspect of the project. The variables change between Architecture and Industrial Design but the process is the same. It takes a mental shift to deal with the scale changes between the disciplines but designing with a such a broad and diverse range of project types and scales has fueled uncommon, creative solutions in both disciplines. Your studio has a strong commitment to sustainability, Evident in projects SUCH AS the Town of Kansas Enhancements and the Madison Residence. How has this practice changed your process? OUR BELIEF IS THAT SUSTAINABILITY is just good design. Somewhere along history sustainability was left out of good design and came back as a specialization. Sustainability is integral to our process and is only limited by budget or performance. IT’S A LOT OF LITTLE THINGS, and sometimes the little things are the most meaningful. 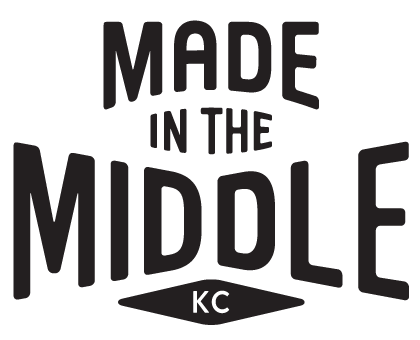 We have a lot of pride in KC and a strong sense of community. KC owns our heritage and builds on it. We are grassroots entrepreneurs that feel liberated being inbetween the coasts. We can draw from both an urban setting and down-to-earth rural influences in a small radius. We still have a “new frontier” kind of attitude that fuels our creative community to do things a little differently. This is all supported by the fact that we have a strong arts community anchored by the art institute, we are the home of sports architecture, and there is this little place called Hallmark Cards that employs, mentors and supports a wide variety of artists and designers. Mostly, it’s the people. KC and it’s philanthropic attitude has given back to support entrepreneurism and the arts with the Kauffman Foundation, Block Foundation, Kemper Foundation, and countless individuals that invest in the arts and creativity. You have a big project in the works creating a large commercial/residential space in the West Bottoms. Can you tell us more about that? THE WEST BOTTOMS is where Kansas City’s economy started, with the Stockyards. It’s located at the confluence of the Kansas and Missouri River and at one time was the second largest stockyards in the world. We are fortunate to have a developer in Bill Haw that wants to repurpose this valuable area with development that is authentic and that will grow organically. Stockyards Place is a commercial/residential mixed-use project, made entirely of precast concrete and glass, that embodies the direction the district is rapidly moving by paying homage to the industrial legacy of the neighborhood while simultaneously reflecting the modern sensibilities of the businesses, bars, restaurants and galleries populating the area. The project was conceived as a catalyst for future development and a stake in the ground by the developer regarding the quality of the development to come in the area. I GOT HOOKED ON CYCLING about 5 years ago. I started doing road races and this last year have taken up cyclocross as well. It’s one of the only sports I can be as competitive at as I was other sports in high school or college. Getting out on your bike on long rides is also a great way to see different parts of the city and country and let think at the some time. FAMILY, espresso and good food.